Museums are hubs of art and culture and are a lovely place to stimulate minds of both young and old. Here are some museums worth checking out in Singapore. The ArtScience Museums aims to “explore various creative processes at the heart of science, art, technology and culture, and their roles in shaping society.” Those interested in art and technology would be interested in its exhibitions, which aim to showcase the intersections of art and science. For its architecture alone, the ArtScience Museum is a place that everyone should visit at least once. In their life. Its iconic architecture is inspired by the shape of a lotus flower. Its ‘main body’ can be found at the center of the lotus, with the ten extensions as its petals. All ten petals make a total of 21 gallery spaces, with permanent and touring exhibitions. These gallery spaces have been home to a number of world-renowned exhibitions throughout the years. 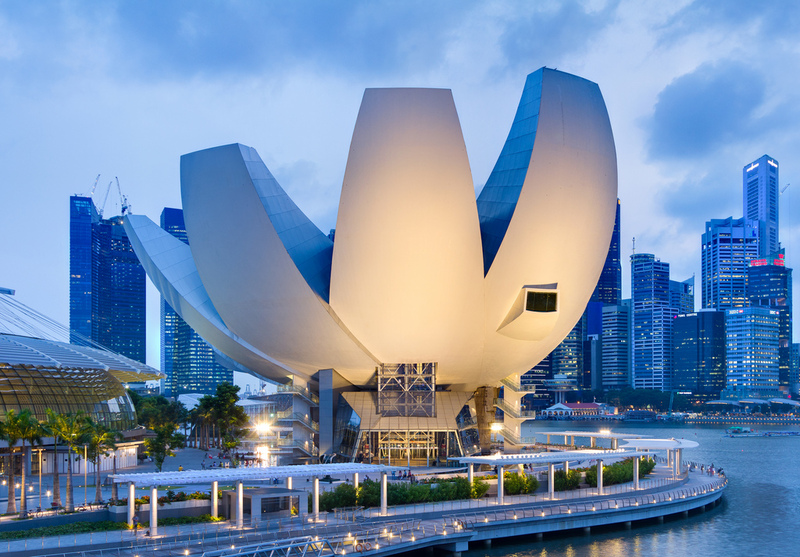 The ArtScience Museum is open daily from 10 am to 7 pm. This one is for those who love the arts. The Singapore Art Museum is considered to be the first fine art museum in Singapore. It is a sight to behold, housed in a restored 19th-century mission school. A contemporary art museum, the place focuses on different art practices across Singapore, Southeast Asia, and Asia. 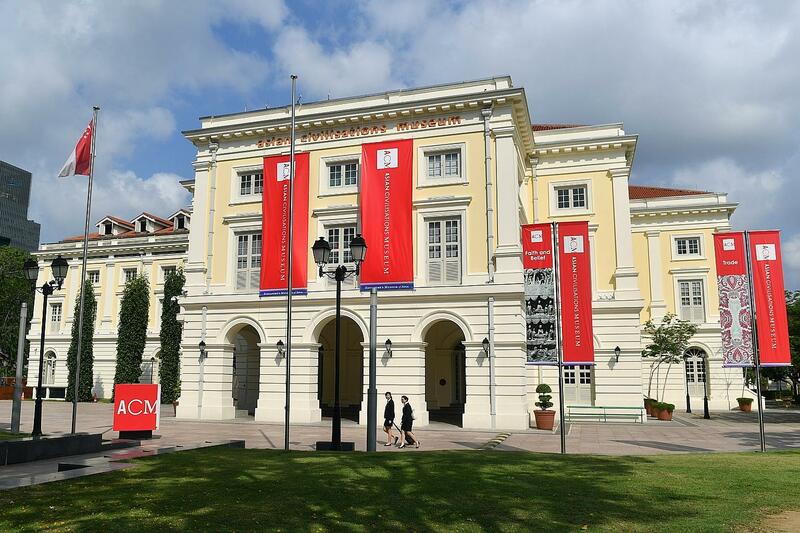 The Singapore Art Museum is open from Monday to Sunday from 10 am to 7 pm, and on Friday, from 10 am to 9 pm. With its slogan ‘Singapore’s Museum of Asia,’ the Asian Civilizations Museum showcases pan-Asian cultures and civilizations, such as those of China, Southeast Asia, South Asia, and West Asia. It has won TripAdvisor Traveller’s Choice Award for Museums in 2014 and 2015. It is open daily from 10 am to 7 pm, and from 10 am to 9 pm on Fridays. The Peranakan Museum is a sister museum to the Singapore Art Museum and specializes in Peranakan culture. It consists of three levels, with ten galleries in total. Its exhibitions include the traditional Peranakan wedding, other special ceremonies, and the various Peranakan arts and crafts. It is open daily from 10 am to 7 pm. 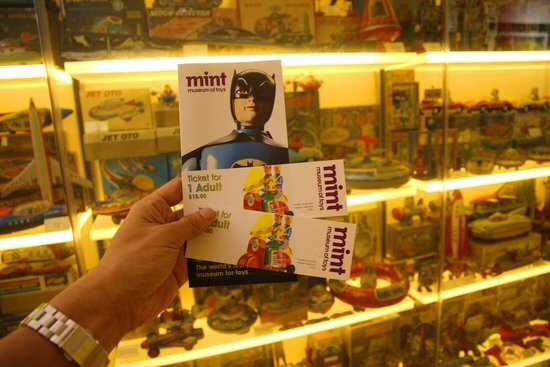 The name of the museum, MINT, stands for Moment of Imagination and Nostalgia with Toys. Fans of toys both young and old will enjoy the exhibits in this museum. Here you could find more than 3,000 vintage toys and childhood memorabilia, collected from over 25 different countries, housed in a five-storey contemporary building housing. The Mint Museum of Toys is open from Monday to Sunday from 9:30 am to 6:30 pm, and on every last Saturday of the month from 9:30 am to 9:30 pm. There’s just something about cafes; the smell of bread, the smell of coffee, and the thought of simply sitting down and taking time for yourself. Here is a list of cafes here in SG, some popular, some not-so-popular. Be sure to check out all of them! In Open Door Policy, you can be sure that your food is fresh, healthy, and sustainable. This is a cafe that prides itself on its eco-conscious values; its sustainable marketing strategy begins with growing their own produce indoors, using vertical growing methods. This cafe boasts of a dairy- and gluten-free menu, so those with gluten and lactose allergies can rest assured that their food is good for them. Those who simply want to have a more eco-conscious and sustainable diet can also find a good dining experience in Open Door Policy. 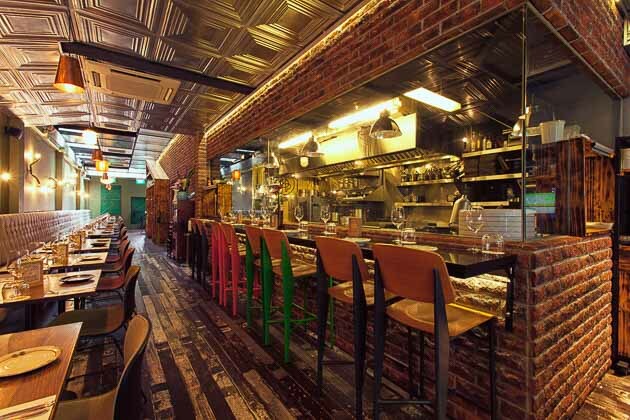 Open Door Policy is located at 19 Yong Siak St. and is open daily except Tuesdays. 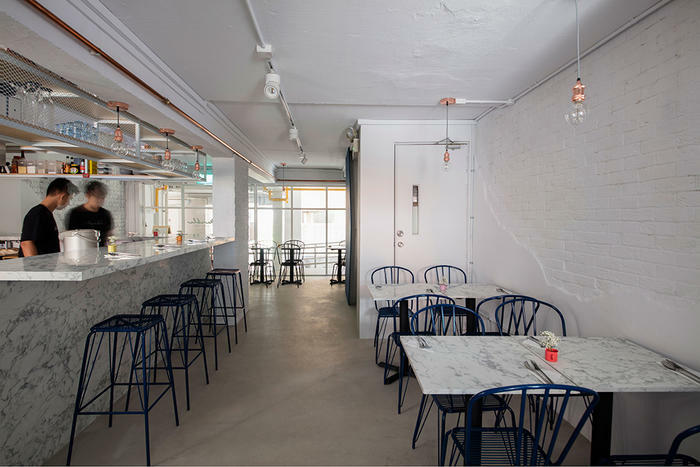 The Marble Bistro and Café is a cafe that everyone should experience. Headed by local chefs trained by the Culinary Institute of America, this café is popular for the quality of their dishes and the uniqueness of their presentation. All their dishes are made and presented with a clever twist; take for example their Deviled Eggs, which is presented in a bell jar and mini pesto cones. The Marble Bistro’s seven-course dinner comes highly recommended. They can be found at 6 Everton Park, and are open on weekdays from 11:45 am to 5 pm, then at 6 pm to 9:30 pm. 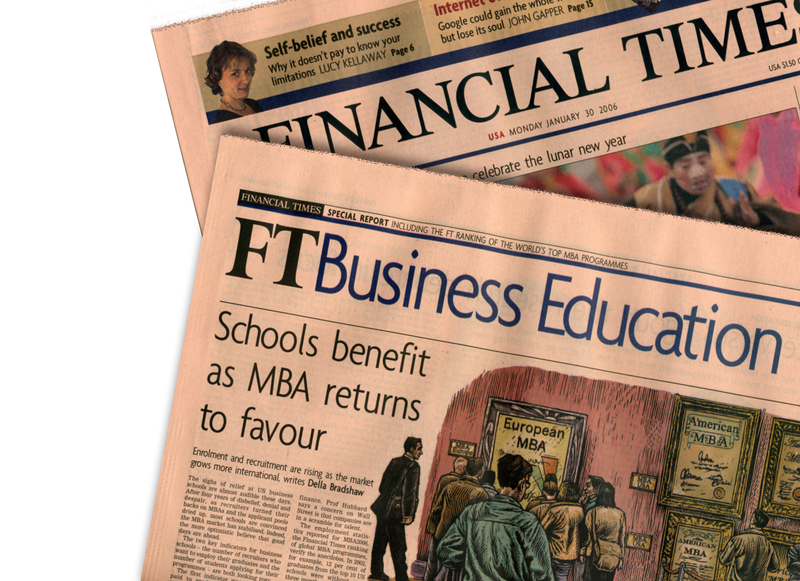 The Monocle is a global affairs and lifestyle magazine, with three other cafes in London, Tokyo, and Hong Kong. 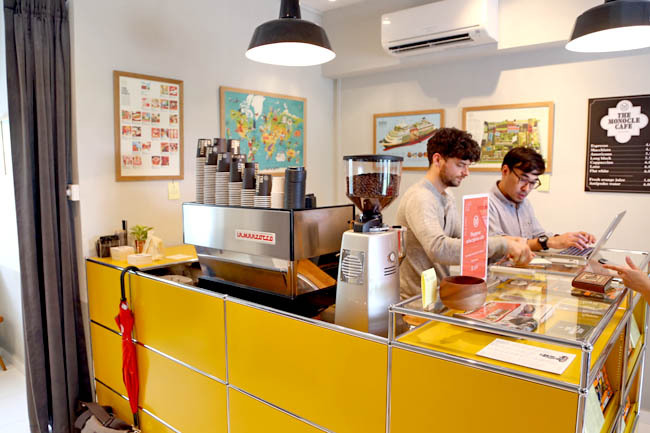 Its cafe here in SG is housed in a two-storey shophouse and comes with a retail shop, so fans of the mag can browse and shop while sipping a cup of their renowned Allpress. Located in a residential house with minimalist interiors and outdoor seating, photography junkies and Instagram enthusiasts would find this cafe a treat for the eyes. The Monocle Cafe can be found at 74 Jalan Kelabu Asap and is open from 11 am to 7 pm Mondays to Saturdays, and from noon to 6 pm on Sundays. Since its opening in 1999, PS.Cafe has always been a Singaporean favorite. Its large windows and high ceilings make for lovely photographs and an ambiance that can only be described as rustic and romantic. PS. Cafe is perfect for romantic dinners or casual get-togethers with friends. PS.Cafe at Palais Renaissance Is located at 390 Orchard Road., Palais Renaissance, and is open from 11:30 am to 11 pm on weekdays, and from 9:30 am to 11 pm on weekends. Fishing is a great pastime to get into as a way to relax, get in touch with friends, and get acquainted with what nature has to offer, since Singapore is home to a wide variety of freshwater fish. This is one of the most recognizable fish that you can find in most places in Singapore because of its smooth grey color and prominent whisker-like barbels. These fish can reach weights of as heavy as five or eight kilograms. 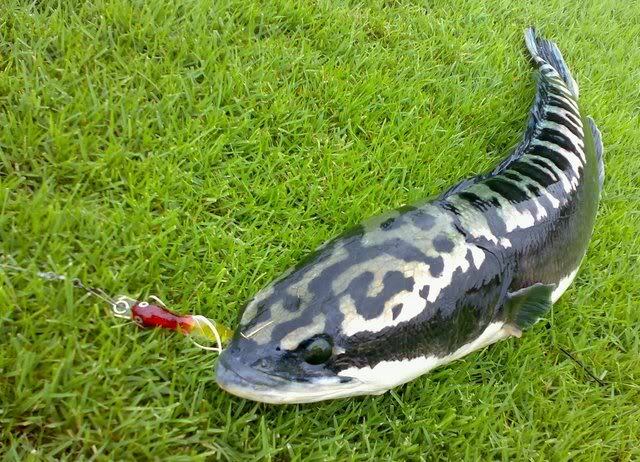 There are several types of this fish that you can catch in Singapore, such as the warty catfish and the old world river catfish. Belonging to a genus of large cichlids, this predatory freshwater fish is originally belongs to the Amazon water basin and is diurnal in nature. You can usually catch this type of fish any time of year in Singapore. The peacock bass is a prized catch among anglers in Singapore as both food and game, as this fish is not only hard to find, but also quite hard to catch. 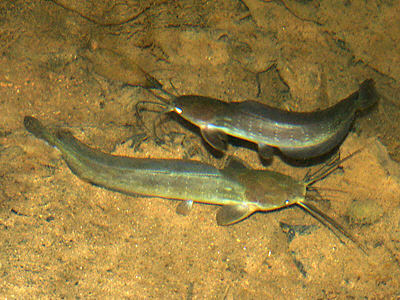 The giant mudfish is capable of growing to a length of 1.3 meters, and can weigh up to as heavy as 20 kilograms. Though often found in Southeast Asia, this species is considered an invasive species in a number of countries since it has been introduced to different ecosystems, particularly those in Singapore. This ray-finned fish is one of the most common species of large fish that you can catch in Singapore. Though not sought after as much as other species of prized fish, barracuda have an intimidating appearance and aggressive behavior that make them a challenge for any angler who happens to have them on the line. Most characteristics of barracudas that make them distinct are their dark grey, green, or blue color, irregular black spots on one or both sides, and their pointed heads with a large under-bite. Given time, they can grow to 1.6 meters in length and weigh as much as 7 kilograms. Groupers are perhaps the largest and heaviest fish that you can catch in Singapore. 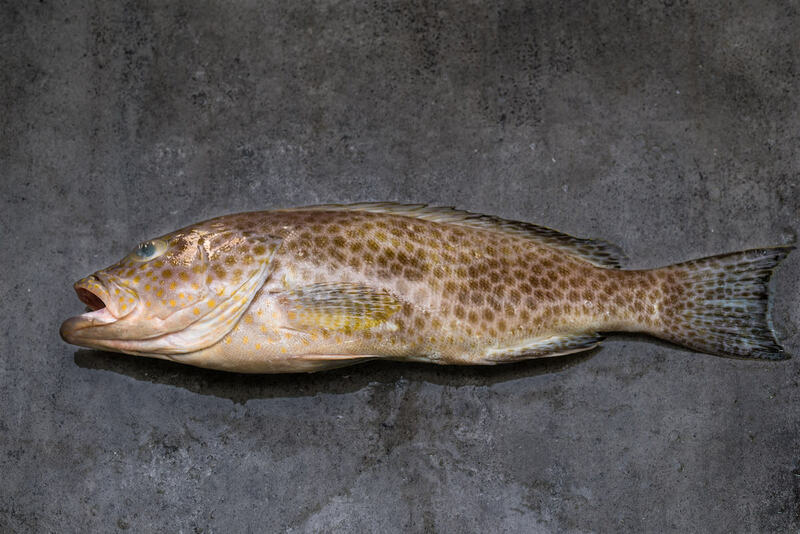 Though the name “grouper” is given to most fishes belonging to the Epinephelus and Mycteroperca genera, it actually extends to other smaller genera, such as Anyperidon, Cromileptes, and Tirso. Groupers are characterized by having a stout body and a large mouth. Not only can they reach lengths of more than 2 meters, but also weigh as much as 200 kilograms. Other than tasty, crispy, salty fries what other fast food items do you often crave for? Is it a juicy, dripping-with-goodness burger? If, like most people, you do enjoy eating burger, then this list of stand-out burger joints will undoubtedly wow you once you get to have a taste of their succulent burgers. They give you the best balance between quality and affordability. Quality – all the ingredients they use are as natural as possible, without adding MSG or any artificial preservatives and flavourings, and all the produce and meat they use are sourced from responsible artisanal producers, farmers, and fishermen. That means their beef, pork, poultry, and seafood all come from farms that raise their animals free-range and without feeding or injecting them with antibiotics or hormones. Affordability – you don’t need to burn a hole in your pocket to enjoy their excellent-tasting, high-quality meals. And now for the star of the show, let’s talk about their burgers. They’ve got the classic cheeseburger which sells for $13. 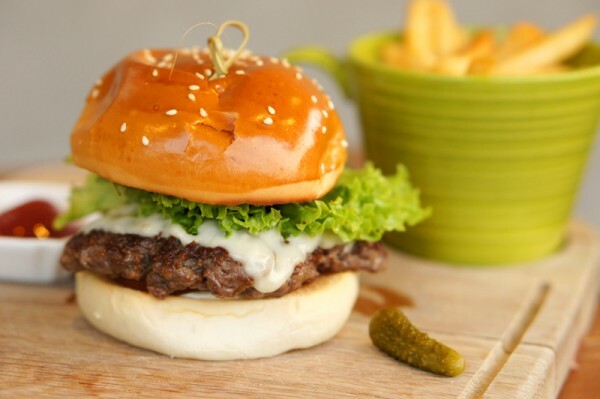 It’s made with 100% minced beef patty and Monterey Jack cheese and for something new, you could try their Crispy Fish Burger made with crumbed fish fillet and remoulade. For responsible eating at its best, be sure to visit Grub at 510 Ang Mo Kio Avenue 1. Burgers weren’t meant to be enjoyed by meat-lovers only and VeganBurg made sure of that. VeganBurg took it upon themselves to provide a better living planet for everyone by selling sustainable food that doesn’t lack in flavour and taste. Not only that, their food is also friendly on your waist and your general health because all their ingredients are cholesterol-free, GMO-free and they’re all rich in vitamins and minerals. In fact, all VeganBurg burgers are packed with them, such as their unique Char-Grilled Satay burger which is high in antioxidants. 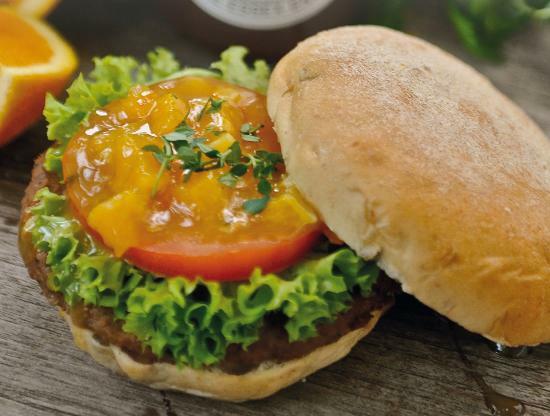 It is made with a tender Vegan patty, drizzled with their homemade, rich satay sauce that’s infused with exotic spices and herbs. 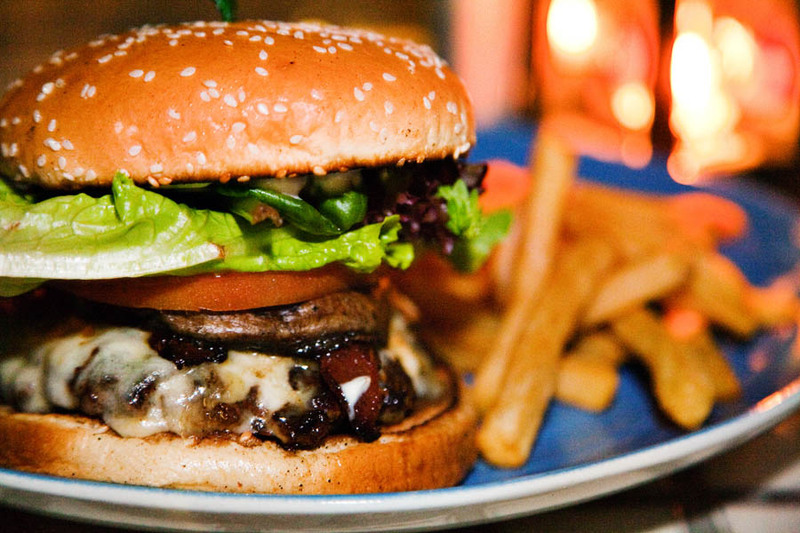 For a bite of their appetizing burger, do visit them at 44 Jalan Eunos. They also have 3 more branches at Marina Boulevard, The Grand Stand, and at Golden Shoe. But for a more convenient way, you could contact their delivery hotline at 6844 6868. 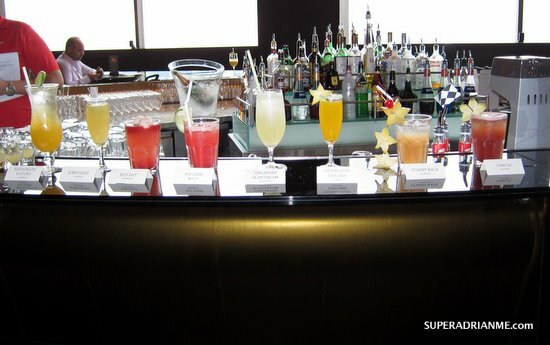 When it talks about drinks, you will probably think about having a party. However, you cannot always say that because there are lots of people who do not want to drink ssome beverages like cocktails. Most of the time, they drink because they just want to but sometimes, they drink because there is an important occasion and will require you to drink. 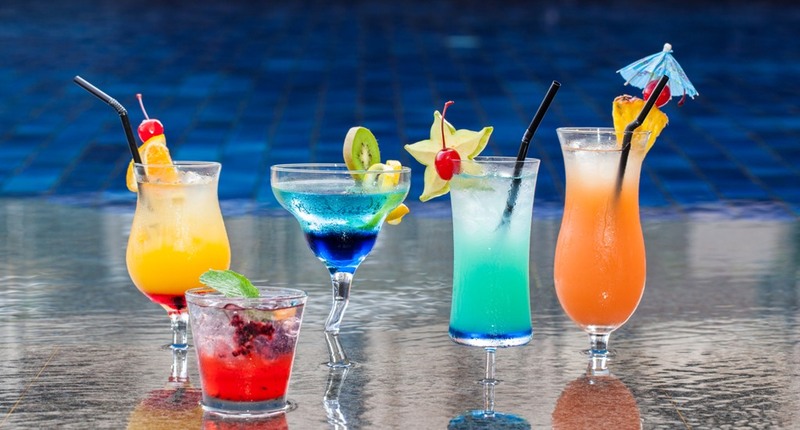 Although it is not good to drink cocktails most especially when the quantity consumed is higher than the normal, there are some people who say that you need to drink cocktails in moderation. In relation to that, here are some food-inspired cocktails in Singapore that you need to drink but you should be mindful that you should only drink it in moderation. Banana Pancake Drink -A strong whiskey from Turkey is mixed in this drink. Aside from that, it contains lemon juice, cinnamon tea and banana liquor that are placed beautifully in a bamboo cup. This drink is a good for midnight snacks and for those who simply want to get sleepy. Bak kwa – To achieve a full taste of bak kwa’s original flavor and aroma, you need to mix up different flavors like grilled pork and many more. For sure, you will have a savory drink that you have never seen nor tasted before. The Big Breakfast – No, it’s not about a large meal during your breakfast, it’s only a name in the form of a beverage. Really, a big breakfast is a tequila based drink you will definitely want especially in parties. 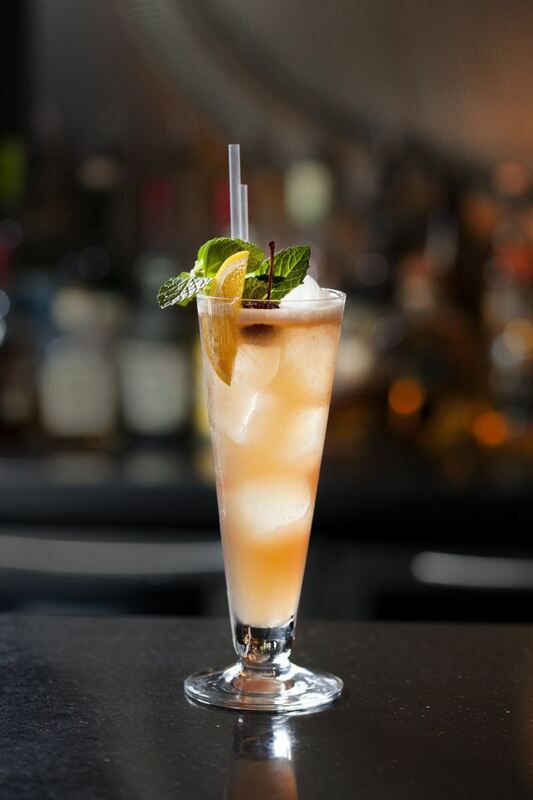 Its ingredients consist of a pinch of salt, lemon, cherry, celery, pepper and some Worcestershire as well as tequila.